Elder Scrolls Online Tips for Beginners! I know I’m sort of late to the party, but I picked up Elder Scrolls Online over the holidays and really started getting into it. Now that I’m about a month in, there are some things going in that I wish I had known ahead of time. 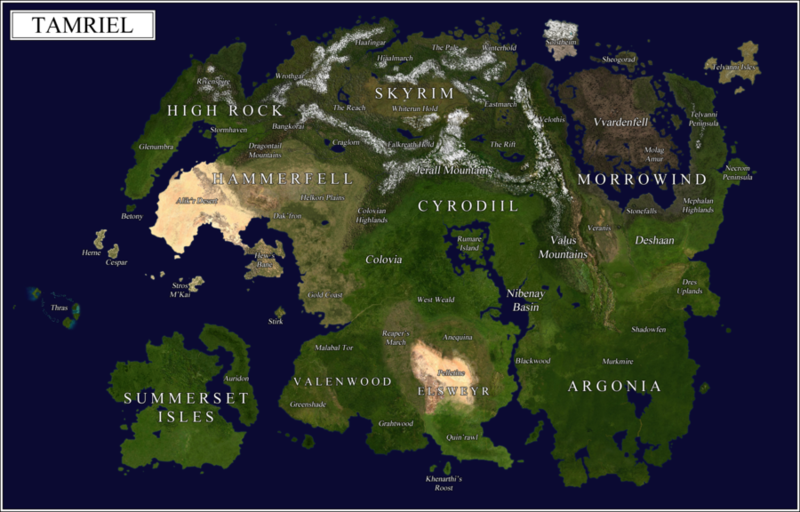 To save any new players (or heck, maybe a couple of veterans) from headaches, here are a handful of tips I wish I had known from the start of my adventure through Tamriel. Okay, maybe I’m just dumb, but it took me a couple of days of playing ESO before I realized what Wayshrines do. Initially, I just thought they were map markers that identified important areas (which they sort of do). However, Wayshrines are a cheap and easy way to fast travel in Tamriel! As long as you’ve visited and activated a Wayshrine (you can tell it’s activated because the icon on the map lights up, plus the fire in the Wayshrine ignites blue), you can travel to any Wayshirne that you’ve been to from another. Initially, I’d just run around the map aimlessly or follow quest markers until I arrived at where I was supposed to be. It’s a nice alternative if you don’t want to pay gold to fast travel to specific locations. If you have the time though, it’s always worth traveling on foot to find loot, battle enemies to level up, and, well, to find other Wayshrines! Even in the tutorial area when you first start playing (I started in Summerset), there are barrels, crates, urns, and dead bodies everywhere that you can loot from! Just be conscious of your inventory: you have a limited allotment of items you can carry at once. This is why I recommend buying an ESO Plus! One of the many perks is the unlimited space for crafting materials. That way you can wrack up on all of the materials, craft a bunch of stuff, and sell it for the big bucks! But I digress, looting is especially important at the beginning because you start off with no armor or weapons. You’re sure to fight a monster or two, so you’ll want to be prepared for that. Always be conscious of your surroundings- you never know where the loot is hiding. You might want to also practice your lockpicking skills. It can be pretty tricky in ESO. One last great thing about looting is you’ll often find recipes and treasure maps that you’d otherwise have to buy. Equip the recipes as soon as you get them and sell the ones you already know. The more recipes you have, the better! They will especially prove useful in the next tip I have. I cannot stress this enough. It was the way I made my money in the beginning. Also, crafting things will level up your various skills, in turn allowing you to use rarer (and more expensive) materials. It’s also a good way to clear out your inventory. If you’re starting in Summerset like I did, Alinor (the city at the southwest corner of the island) has a nice little setup with all of the various crafting tables. After you’ve done the quests to master each craft, you’ll be able to pull writs from the bulletin once a day. Upon the writ’s completion, you be given a bunch of experience and materials specific to that crafting skill. It’s super useful for level ups at the beginning, so definitely take advantage! And just like I mentioned before, search for recipes everywhere and equip them ASAP! This will save you time and money for Provisioning (cooking) Writs. The more recipes you have, the better. You never know what kind of stuff Writs will have you whipping up! This is a big one! I played by myself for the first 3 or 4 weeks, and honestly, it felt like any other Elder Scrolls game. If you like that kind of solo play (I do), it’s not bad! However, I realized a friend of mine also plays, so she and I have been teaming up recently, making the game a lot more enjoyable! Not only do you have an extra hand in hard battles, but you also have a lot more fun in Dungeons. If you queue up in the Activity Finder, you’ll have someone to communicate with in PVE Dungeons and PVP Alliance War! 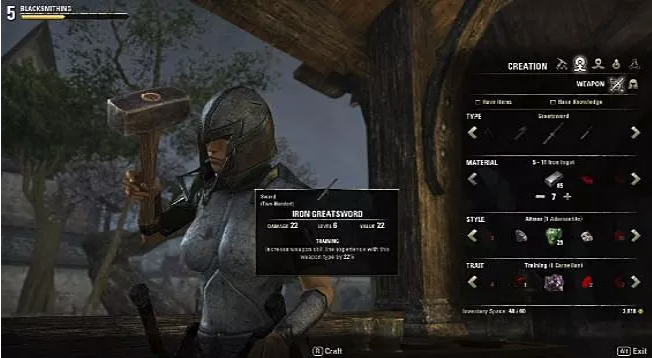 Are there any tips you have for new Elder Scrolls Online players? Let us know on Twitter! While you’re at it, check out our Elder Scrolls Crate and forge your own legend all across Tamriel! Video Vault: Jedi Fallen Order Announcement Trailer!